A pair of bills would give Thurston County’s Intercity Transit (IT) the authority to go to the voters and ask for an additional 0.3% sales tax authority. The current IT tax rate is 0.8%, out of 0.9% authorized by the state. Sales tax provides 3/4 of IT’s revenue stream. Ridership has grown 68% in the past 10 year. IT raised fares roughly 25% back in 2013. All Public Transportation Benefit Areas in the state are authorized to have a sales tax of up to 0.9%, with voter approval, except for Snohomish County Community Transit, which is permitted a 1.2% sales tax. The Central Puget Sound Regional Transit Authority, which is not a PTBA, will have a 1.4% sales tax rate effective April 1, 2017. King County Metro has the maximum 0.9% sales tax rate for PTBAs. The City of Seattle devotes a 0.1% sales tax to extra bus service. 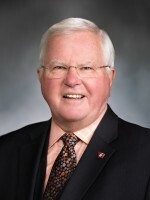 Senators Sam Hunt (D – Olympia), Marko Liias (D – Everett), and Patty Kuderer (D – Clyde Hill) are sponsoring the senate bill to raise IT’s allowed rate to 1.2%, Senate Bill 5288. That bill passed out of the Senate Transportation Committee 9-3 on Monday. The bill passed out of the Senate Rules Committee on Wednesday, and sits on the second reading floor calendar. That bill had to first go through the House Finance Committee, where it got forwarded 7-2-1 on February 3, to the House Transportation Committee. 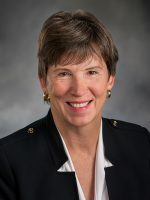 Cary Condotta (R – Wenatchee) voted to forward the bill “without recommendation”. The deadline for HB 1410 to get a public hearing and voted out of the House Transportation Committee is Friday, February 24. Nobody testified against the bills at either of the first two hearings. Really hope this bill passes – best wishes to Intercity Transit. Do they want to use this revenue authority for connections to the regional transit system or what? Yeah, has IT laid out what they want to use the extra money for, or will that come later ? AJ, most likely IT will use the money to restore service they lost when the Legislature handed Tim Eyman his first win, after the State Supreme Court handed them Tim Eyman’s head on a plate with an apple in his mouth. Okay, okay. But one, we can’t find a House-moving company that’ll include the State Senate in the load. And two, we can’t even get an appropriation to fix the containment dome. But up to now, at least given their ridership stats, none of the slashed seats and annoying behavior affect IT. 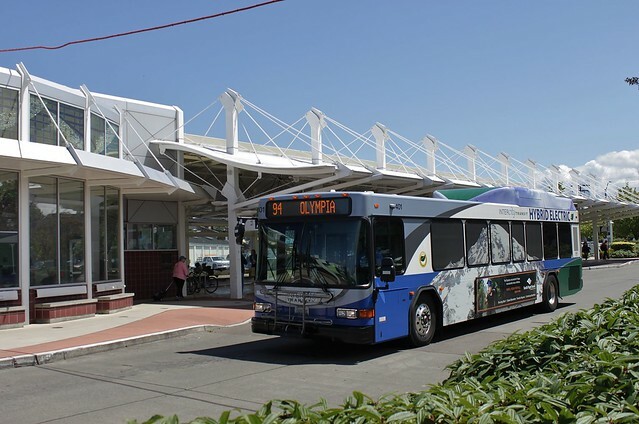 From every single ride on Intercity Transit since my first visit to Olympia thirty years ago, it’ll be good to have IT in a position to pass along its passenger-handling skills to all three current ST participants. And, Chris, since I’m both a regular passenger and a tax-contributor to Intercity Transit, the “or what” for me to devote whatever effort it takes to bring as much of Thurston County as I can get into Sound Transit. Starting with getting Sounder a fifteen-minute farther ride over brand new track to Olympia Lacey station, resulting an a single-seat Freeway-free ride to Seattle. Which a lot of us involuntary Seattle residential re-locatees will appreciate the chance to vote for. Since I moved to Olympia, I’ve thought of my monthly ORCA privileges as most reasonable consulting fee in St, and transit, history. But you know, main personal motive now is to finally be able speak to the Sound Transit Board as a voter. Since Alex Tsimerman got aced out as Transportation Secretary, Presidential strategy team’s Steve Bannon’s gets next pick. So along with his public comment position, and sheriff’s deputy, it’ll be my duty take his place. And also run for ST Board, since I still won’t be in Seattle City Council’s 9th Disrict. The Olympia Transit Center is at capacity and needs to be upgraded. It’s not bad for what it is now, but with more space Intercity can add more service. This bill doesn’t give them the extra money. It just asks for state authority for the ability to ask taxpayers for more money. If you are going to come up with a plan to use the money, you need to know if you are going to have it first. Why go through the expense of preparing a detailed service plan if you wind up with the entire thing getting vetoed by the representative from Kalama or Vancouver? Looks to me like events in Seattle are going to give Olympia a lot more voters than they will surrounding areas which, if their workers could ever again in their lives could afford to pay taxes, might turn back into Democrats again. Any way Seattle can use the vastly greater wealth underlying its liberalism to generate work and recovery down here will make future transit victories a lot more likely. Even if they require Seattlites to be as generous outside their own districts as it’s demanding of a lot poorer people. Do you really think that sales tax ia an unlimited trough to get money out of the citizenry? People are going to cut that chit down. Recently we’ve seen voters in Grays Harbor County and Okanogan county overhwelmingly pass sales tax increases for public transit, and those voters are both a) more conservative than and b) less likely to personally benefit from increased public transit, compared to Intercity Transit’s voters. so I don’t think it’s clear. But if they do vote it down, fine. They should have the opportunity to consider whether what IC is selling is worth buying, which this bill will enable them. I don’t like the extent to which this state relies on Sales Tax, either, but using the phrase “unlimited trough” to characterize a very small increase like this isn’t a serious or honest way to address this issue. Do you really think people care so little about transit that they would vote against a measure without even looking at what it does? The money is not going into a black hole or legislators’ salaries, it’s doing things. This 0.3% tax makes the difference between more bus service or not. People will have to weigh whether the service is worth the tax. People might vote yes who intend to take the expanded buses or who think it’s overall better for the county. Just like Seattlites did when they voted for Prop 1, and Pugetopolans did when they voted for ST3. This bill does not raise any tax. It merely allows Thurston County residents to vote to raise their own taxes. Isn’t it funny that people in a democratic county have to get permission to vote on something? At first I was concerned about Chris’s question,, what do they want to spend it on and why is this bill coming up now? And maybe there are specific reasons that STB has not found yet. But as I was writing this paragraph I realized that these specifics are more appropriate for the second vote, when taxes would actually be raised and people would want to know what it’s to be spent on. At this point it’s just abstract and the answer is it should be unlimited, or at least set high enough that transit agencies all over the state are prevented from having a Canadian/European level of transit service that would give more people a choice between driving and transit. Also, Europeans pay much higher taxes for much better services, and even the conservative ones like it. The reason for this, Bob, is a matter of definitions. To me and many dictionaries, anyone truly conservative makes financial decisions, long and short term, by the balance sheet, cost and return. Gynecology and choice of mates generally off-subject. Usual discovery is that for life’s necessities, taxes for competently-administered Government deliver a better return than can an equally well-run private company. For consumer goods and other matters of choice, private business private enterprise works just fine. Partly because Government often provides basic research, and also keeps competition fair. The political and economic philosophy of the people who now control this country’s government owes a lot to the thinking of the pre-Civil War Southern states. As a plant, cotton swiftly depletes the soil. Requiring frequent crop rotation. But in those years, cotton delivered a lot of money, fast. Slavery was legal, wages affordable. So leaving behind a desert ruined for farming, “King Cotton” demanded ever more land, and slaves to farm it. Also more pro-slavery States, unhindered by environmental regulation and burdensome minimum wage laws. “Cannot remain half-Slave and half-Free” wasn’t rhetoric.” Just a really safe bet. In view of performance and general approach, this why I won’t dirty the word by calling present prevailing ideology “Conservative.” The New Electric Railway Journal was Conservative, though published by a Royalist. Street rail is conservative. As is every engineer in public transit. And the professionals who founded Metro Transit. Who couldn’t be Precinct Committee members now in the party they used to lead. Now run by “Slavers and Secessionists”. The term the Republican Party’s founders would have used. Intercity Transit has in recent years downsized their service area to the more urbanized portions of the county, and they seem to be fairly well liked as far as government agencies go. I don’t think they will have too much of a problem getting that passed. Getting them into ST may be another battle though, but it is much needed. Thank you, Mr. Z. Especially as far as government agencies called transit systems go, Intercity Transit earns its reputation. They’ll be a welcome addition to ST.
But- like the problem itself, unmentioned- is that we’ll have a larger voter-base for the real Battle-of-the-Bulging Traffic Jams. Real regional transit boundaries are the last row of tail-lights each direction on our every freeway and arterial. Moving tailward by the day. Like for basic human freedom, number of trapped automobiles is presently transit’s worst enemy. It’s not just embarrassment. I HATE being forced to work pedals and steer but not actually drive. By the balance sheet as well as our blood-pressure charts, thousands of us would pay whole cost of regional transit to work, and still come out money ahead on our car costs. But here’s the real Justification For War. The blockage itself threatens every transit election from here on. For both money and politics, worst element is how fast we have, to, literally get transit arteries unblocked. Or circumvented. It’s not the idea of not living to see a project completed that kills votes. It’s knowing you’ll spend it stuck in traffic. For fight this will take, can’t have too many troops. We’re way at the before any negotiations to expand the ST district. When/if the time comes, it will require a thorough consideration of the pros and cons, not just a simplistic “of course it’s good” approach. Some would say that single-minded attitude is what led to Link being extended to Everett and Tacoma, because “it’s a train” without regard to whether it’s the right-sized train. Arguably a two-level network would have been better, with half-hourly heavy rail to the suburbs and 5-10 minute lines in the city. My point here is not to press for the two-level network because we’ve already decided on a single intermediate-level network. My point is that the political dynamics that led to the single intermediate-level network are similar to those that could lead to a hasty inclusion of Thurston County and north Snohomish County, and that could turn out to be not as good a situation as hoped. Maybe it would be good, but we should be careful about it. The further the ST district goes out, the less urban-minded and tax-willing the average will be. Seattlites already complain that a majority of the ST board and power are suburban and peak-commute oriented. Extending the district would just make it more so, and make it harder to get approval for Seattle’s urban plans. However, there’s more than two choices. It doesn’t have to be just in or out. Thurston County can make a bilateral agreement with Sound Transit for Sounder or ST Express to Olympia, as they have already done with the 592 pilot project, and as Pierce Transit has done with the Gig Harbor route. We can discuss regional service to Olympia independently of whether Thurston should be in the ST district, because one is not dependent on the other. Theoretically ST could be extended along the entire I-5 corridor, from Bellingham to Vancouver, because that entire erea is increasing in population and will eventually need an ST Express level of transit. However, whether it’s a good idea to turn the exiting Sound Transit into that vs addressing it another way is a different question. Great comment, Mike, you pretty much covered it all there. IT is in a difficult position with the sprawl going on around it. Huge areas to the north of I-5 up towards Boston Harbor and Woodard Bay are being developed. It’s all sprawl type development that is going to be expensive to serve. Downtown Olympia itself could be a really pleasant area to visit, but it is already extremely crowded with really loud through traffic that wants to move far faster than it can. Adding more sprawl around it without doing something for transit improvements will only make it worse. The wording about a qualifying county having two cities over 40,000 population is pretty clearly aimed at excluding Kitsap Transit from having this authority. Kitsap County has a slightly larger population than Thurston, but only one city over 40,000. Kitsap Transit needs an increase in service far worse than Intercity. Since I-695, all service has been on hourly headways and Sunday service was only restored for a few years before the economic downtown. Also excludes Clark, but with the huge sprawl around Camas and Washougal it wouldn’t take much annexation of unincorporated land to make one of them over the limit. Maybe that’s why Clark County voted against this. Clark is over 400,000 but less than 750,000 total, which is the other clause. That also excludes Spokane. Who’s got anything to gain from leaving Kitsap out? Nothing in this legislation obligates any other county to pay anything to help Kitsap. Or is it Kitsap’s own representatives trying to keep their own constitutents from paying any taxes? You saw it above in Joseph Singer’s comment. It’s not a question of which counties have the biggest unmet transit need or the largest population, it’s a question of which counties have the highest percentage of people who think that nobody should have transit, and that we need to be our brothers’ wallets’ keeper by blocking any potential tax increases anywhere. Because if a tax measure in another county goes through, those who voted against it will have to pay it, and we should be in solidarity with our brothers in the other county to prevent that from happening. Clark County, Spokane County, and Kifsap County have a somewhat largish number of people who believe this, even if the people in Spokane city, Vancouver city, and Bremerton city don’t. Kitsap’s delegation was happy to throw their support behind the fast foot ferry tax authorization. Hopefully only a preliminary before they join the Sound Transit taxing district -at least the areas around downtown Olympia.